A 36-page magazine, about 3 pages of which are adverts and 3 are simply pictures. 'Free gifts'. The copy I was forced to buy had a sheet of stickers and a lip gloss case in the shape of a mobile phone. Age: The target age is 3-9 years. Half the puzzles are things like word searches which are beyond most four-year-olds, however, while others involve merely counting to five. A 4-6 age range is more realistic. 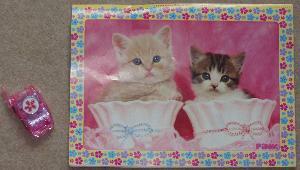 The phone-shaped make-up case... and some cute kittens. Comments: Never trust a magazine with a picture of a cute kitten on the front which has a speech bubble reading, 'I love Pink!' 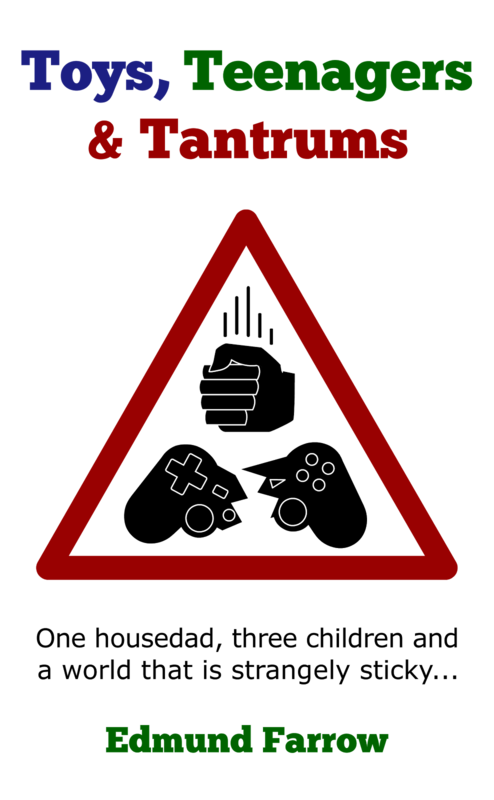 - the contents are unlikely to be good for your brain. Unfortunately, Sproglette saw it and loved it. 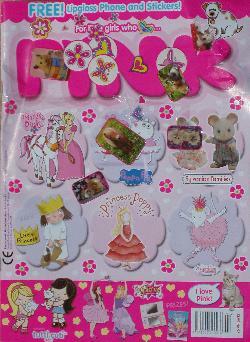 A magazine 'For little girls who love PINK' really could have been designed specifically for her. Although there aren't many pages dedicated to advertising, it's hard to know sometimes where the features end and the ads begin. Much of the magazine seems to be blatant plugs for books, TV shows and merchandising. There are only two proper stories and the rest is short puzzles, colouring in and stuff to cut out. Some of the stuff to cut out is back-to-back with features. The lip gloss case is quite attractive but the gunk itself is too thick to spread with the brush provided and I'm less than thrilled with the thought of it going near my daughter's mouth. Happily, it's nearly invisible once applied, so she tired of it quickly. 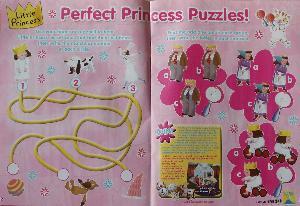 Conclusion: Numberjacks Magazine would be best but, quite honestly, I'd rather buy Disney's Princess than this. Pinkness, princesses and cute, furry creatures - the stuff of little girls' dreams. Tiresome puzzles, dodgy make-up and cheap stickers - the stuff of housedad nightmares. Activities require wildly varying ability. Even the cute cats look fed up. Many young girls won't care about these problems and will grab the latest issue from the rack every time you go to Tesco.